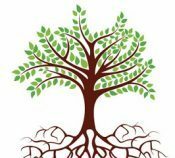 We have speakers available for Synagogue/Organization groups to help you get started in tracing your family roots. There is a $100 Fee. The Fee will be waived if 5 attendees join the JGSGP after the presentation (Speaker to receive 5 completed JGSGP Membership Applications and a $25 check with each). Presentations are given to groups of at least 10 adults interested in genealogy. Presentations can be made at synagogues and affiliated groups such as Men’s Clubs, Sisterhoods, ORT and Hadassah in a 20-30 mile radius of Philadelphia. We do not meet in private homes to give presentations. Schools, JCCs, and Retirement homes will be considered on a case by case basis as long as they agree with the Speakers Bureau Guidelines above.